Thank you to our Vendor Affiliate Members, who provide industry-specific products or services used by our Membership, and offer verifiable cost savings for products or services, an exclusive discount for Members, or a donation to the ADCC College Connections program. Vendor Affiliates must be recommended and approved by our Board of Directors. Vendor Affiliates can also sponsor on event, present to our Members at our Annual Meeting or promote their services through print and online advertising vehicles. By aligning with The ADCC, our Vendor Affiliates have access to a large, committed and successful client base. ConferenceDirect is your ONE source for global meeting solutions. We help clients save time and money by securing the best hotel accommodations, meeting space, conference venues, and hospitality services available… at the most favorable terms possible. Since 1998, we’ve been passionate about achieving better results for our clients. Learn more about ConferenceDirect or call 417.581.0632. Custom Built Awards specializes in trophies, plaques, name badges, ribbons & medallions, and gifts for businesses, schools, organizations, sports leagues/teams, churches, or any personal special occasion. All awards are custom built, to your order, at our showroom and shop in Humble, Texas. Although we specialize in high volume awards (100 or more pieces), no job is too small. We offer standard engraving at no additional cost. We offer artwork and corporate logos or full-color sublimations of photos. If we don’t have exactly what you need we can get it! DRC Video Productions offers full-service, turnkey video, photography and digital solutions built exclusively for the dance industry. DanceBUG.com™ is the latest evolution in the world of competitive registration, scheduling and scoring software but also the online hub to watch year-end recitals and shows. DVDs are the past – DanceBUG.com™ is the future! DRC also offers the original and premiere video adjudication solution, Video Judge™, delivering videos and comments online and via DVD at hundreds of dance competitions across North America. Complimenting their competitive and recital video services is the digital photography division DanceSnaps™, providing live-action photography services at both the competition and studio level. Learn more about DRC Video Productions or call toll free 1.877.669.0663. DanceCompetitionHub lets users rate, review, and search for dance competitions, conventions, and related products and services. Curious which competitions and conventions are coming to your area? Use our search tool and to find out which tours will be in your locality! Our aim is to strengthen the dance community by giving EVERYONE a voice. Did you have a great experience at a competition or convention this year? Use DanceCompetitionHub to rate, review and research everything from dance competitions and conventions to dance costumes and accessories. Signing up for DanceCompetitionHub is easy and free. Rate, Learn, Grow! Learn more about DanceCompetitionHub or email pj@dancecompetitionhub.com. DanceComp Genie provides the leading software suite available to dance competitions and conventions. Our software makes collecting online registrations, scheduling locations, tabulating awards, and video adjudication easy! We support over 150 dance companies – more than 40% of all dance competitions and conventions in North America use DanceComp Genie software. We work with companies of all sizes; from start-ups to some of the biggest brands in the industry. Regardless of the size of your company DanceComp Genie is here to assist and support the growth of your business! 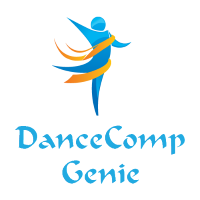 Learn more about DanceComp Genie or call 1.866.663.2555. Dance Dreams Powered by Gerber Tours builds on 45 years of experience. Gerber Tours, a worldwide leader in educational and performance travel, provides student travel opportunities that exceed the expectations of our customers and enhance students’ learning. Dancers connect theory, practice, and performance in real-world settings. We believe the opportunity for immersive travel will positively impact dancers’ lives forever. As Founding and Charter members of the Student and Youth Travel Association (SYTA) and SYTA’s Youth Foundation (SYF), Gerber Tours is honored to partner with The ADCC. Learn more about Dance Dreams Powered by Gerber Tours or call 1.800.317.3150. ProSound And Stage Lighting (PSSL or PSSL.com as we have become to be known) has grown to one of the largest and most respected sources of professional audio and lighting/truss equipment in the United States. We are professionals who leverage the latest technologies in Sound and Lighting to deliver increased: Speech intelligibility and Music fidelity, energy/electricity savings and unlimited color options thru LED sourced lighting, and excitement to any visual or audio application since 1976. Our senior management team has over 40 years of combined industry experience. Our team of Sales Advisors serve professional clients by phone, email, chat, and in-person with a variety of needs, background, and payment methods. Learn more about PSSL ProSound and Stage Lighting or call 1.800.678.9700, ext 8218. TourPro is the most powerful and easy to use dance convention and competition software on the market. It was originally designed and has been refined over the last 11 years to provide the most flexible registration platform that customers and employees will love to use. Learn more about TourPro or call 1.888.444.1975.